Mail us at league@urban-zone.org ! Players must register their UrT Auth on their UZ account, and play with it. If a player is forced to use a different guid than the one he or she is registered with, he/she should inform the supervisors as soon as possible. 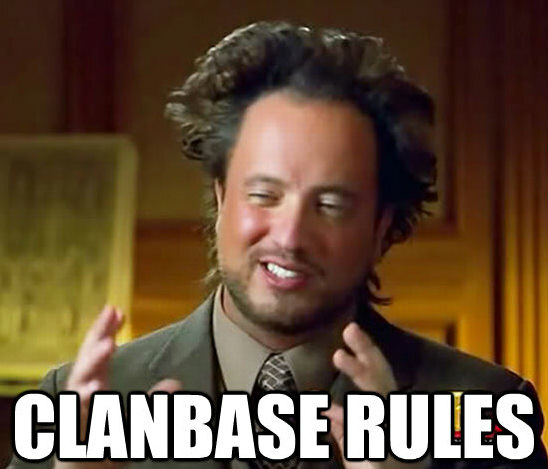 If a player can not AUTH during a match the server logs are mandatory and to be sent at league@urban-zone.org. Teams can not have more than one player of the Winter Pro Cup playing for them in game at the same time. The match is a BO3 where each team chooses its own gametype for his map and then plays the opponents map and gametype. By default matches are 5v5 but, if both Teams agree, the game can be played 4v4 or 6v6. This is to be agreed prior of every map start. The official server configuration files can be found here. Each team is allowed a unique transfer during the whole cup. A player that hasn't played for any team in this cup is not counted as a transfer. - a new player has to be on roster 24 hours before match time. - a transfer can only play in the next round/week. One player can't play a match for 2 teams in the same round (+24 hours rule if relevant). Before Tuesday 21 CET, teams need to choose their gametype and announce it in the match report. If this is not done, teams will be forced to play a mode opponents agree on. The map choice needs to be announced more than 24 hours before the match time agreement or opponents can refuse the choice. For Team Survivor & Freeze Tag, the map is played once during 20 minutes. For Bomb & Defuse and Capture The Flag, maps are round/time based with 2 halfs of 10 rounds/minut. For all three gametypes map-wins are used to determine the outcome of the match. Teams win 1 point for winning the match. Teams win no point for a map win/loss. a 1on1 knife duel round will be played, winner will have the advantage banning gametypes, while the opponent will have the advantage in the maps ban. If the map is played on two servers, team A's map is played on team B's server and vice versa. Teams have the right to substitute up to 3 players using /sub in all gametypes. A substitute can only replace a player when the game is paused, between each half of a map or right after a map change. If a substitute fails to provide his demo upon request, the game result will be a default loss. During the playoffs, teams have till Tuesday midnight CET to challenge teams, choose their gametype as well as their map. If this is not done, supervisors will force the last chosen map & gametype of the given team. Teams will have 24 hours to change a forced map, during the group stage until Wednesday midnight CET, by posting it on match comments.